We moms all know how a little help around the house can go a long way. Yet, until children reach a certain age of plausible contribution, it may well feel like we are an endangered species caring ceaselessly to maintain the home front. As a result, it is tempting to dive into perfecting our own efficiency and maintenance strategies. Hasn’t it taken years of research and practice to figure out just how to fold the bath towels so that they fit into the shelves perfectly? Then comes the day when our kids actually look up from their cartoons to notice the flurry going on around them and volunteer to pitch in. Or, if that dream never comes true, we realize our need to intentionally integrate them into the world of daily chores. This, we hope, is a responsible imparting of knowledge which will build their character and grow them into self-sufficient adults who may move out… eventually. I admit I like the house the way I like the house. I don’t consider myself a control freak or an obsessively compulsive maintainer, but I spend a sufficient amount of time investing in the way things are run within our dwelling place. However, I have learned through a gradual progression of living with roommates, a spouse, and now children, that if I want help around the house as much as I say I do, I need to let go of my standard of perfection. Having “the littles” help… well, let’s be honest, isn’t all that helpful. Have you seen a four-year-old fold laundry in any other way than creating wrinkly, little wads of fabric? Or have you watched a seven-year-old vacuum arbitrarily rather than follow a systematic pattern of overlapping rows? It is often easier and more efficient to just do the task ourselves, rather than take the time to show them and accept the slightly still undone results. Working out which duties are expected contributions to the welfare of the family, which are a bonus, and meriting an allowance—all of that is irrelevant if we haven’t learned to let go of our need for perfection. 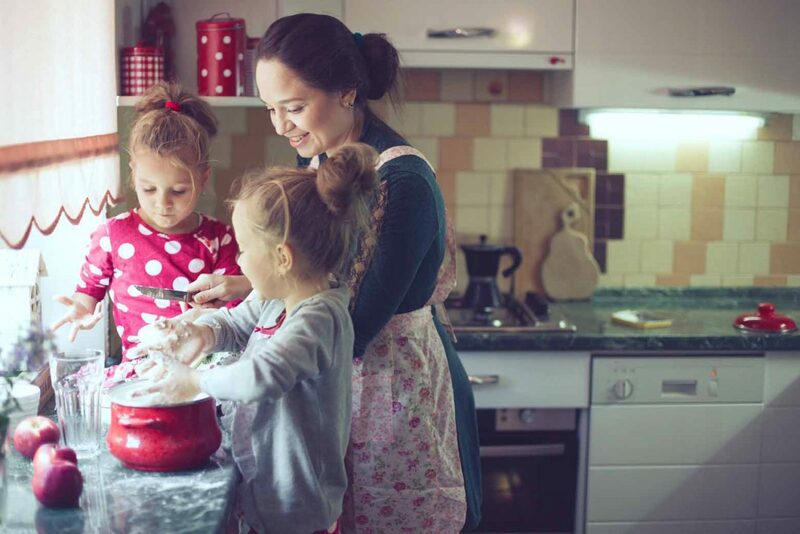 As much as we seek general assistance with the growing to-do list around the house, it is more parental to look for ways of nurturing how each child can learn to contribute. Instead of constantly correcting their attempts, I am challenged to set them up for success by assigning age-appropriate responsibilities, which over time will give little hands the opportunity to grow into the help they can be. It is often easier and more efficient to just do the task ourselves, rather than take the time to show them and accept the slightly still undone results. An unexpected reminder of this came through our littlest, who in response to hearing us often discuss with the older our expectation of setting the dinner table, took the initiative one evening and beat us to it. I couldn’t have been more proud of her thoughtful attempt at setting the silverware on the table. My usual urge to jump in and correct was trumped by her sincere effort involved. And, just like that, my definition of perfection was redefined. Don’t miss The Plight of the Perfect Mama and A Mom’s Imperfect Perfection.